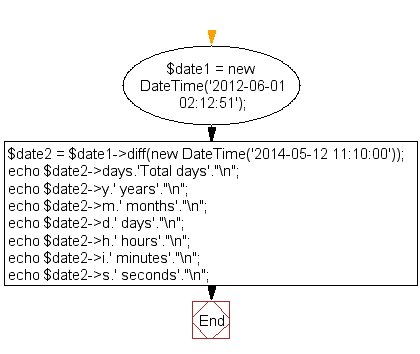 Write a PHP script to get time difference in days and years, months, days, hours, minutes, seconds between two dates. Note : Use DateTime class. Previous: Write a PHP script to check whether the given dates are valid or not? Next: Write a PHP script to change month number to month name.